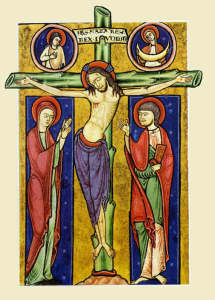 ~By your Holy Cross you redeemed the world. 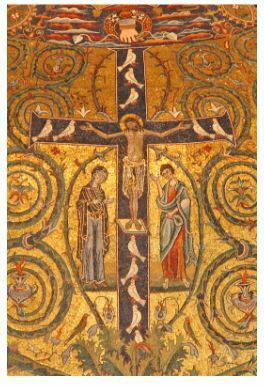 The Cross on which the Love of all, Once suffered human agony. Thus was the Victim sacrificed Who for the life of all was slain. Which blest your trunk and colored it the purple hue of Royal Blood. May Christ impart to us the grace Which by his passion he procured. 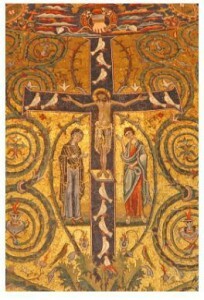 Who through the myst’ry of the Cross From death to life has been restored. Amen. How good to sing God praise! Sing to the One who is loving! We cannot help but shout this praise! and binding up all of their wounds. and calls each one by its name. while the wicked are humbled to the dust. and plants to serve everyone’s needs. and for young ravens when they call. nor by the strength and speed of a warrior. and those who trust God’s compassion. We proclaim Christ crucified, a stumbling-block to Jews and foolishness to Gentiles, but to those who are the called, both Jews and Greeks, Christ the power of God and the wisdom of God. R. But I, when I am lifted up, will draw all peoples to me. V. These words he said to indicate the death that he would die. V. Believe in the light and you will become children of the light. God loved the world so much as to give it the only begotten Son. but will have everlasting life. the name that is above every name. to the glory of God the Abba. – strengthen your people to follow the example of your humility. – open our ears and our hearts to listen deeply to God’s voice inviting us to life through dying to selfishness, pride and greed. Our Love, Jesus Christ, you were raised up by the Abba and given the name that is above every name, – may all who bear your name witness in their loving the power of your name. Our Love, Jesus Christ, at your name every knee in heaven, on earth and under the earth will bend in adoration, – pour out your love upon all people that we may join together with the whole of creation in proclaiming your glory. Our Love, Jesus Christ, every tongue shall confess that you are ADONAI to the glory of God the Abba, – welcome our brothers and sisters who have died into the unfailing joy of your kingdom. Gracious God, faithful and good, you never tire of calling us to follow the way of Jesus through death to new life. 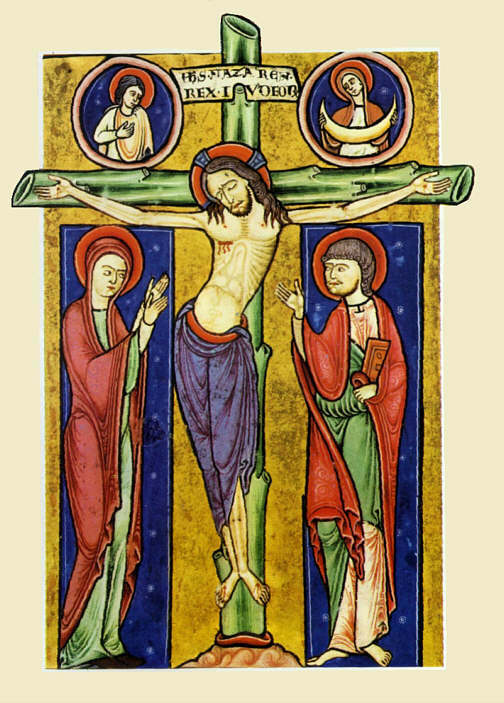 In the Holy Cross which lifted and suspended Jesus between heaven and earth, you have given us a sign of health and wholeness, unity and peace. Grant us the riches of grace that flowed from that Cross, that, renewed by your Spirit we may be able to respond to your eternal and limitless love. ~Amen.